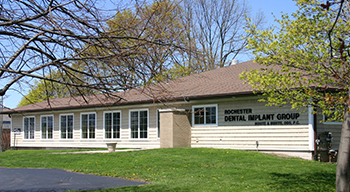 Here at Buhite & Buhite DDS, we have our own in-house/on-site Dental Laboratory in Rochester, NY. In our Dental Laboratory, we can make a variety of dental devices and prostheses, including complete and partial dentures, provisional (temporary) crowns, bleaching trays and many other items including Snap On Smile. Since we don't have to "send out" for these items, you get what you need much more quickly and efficiently. 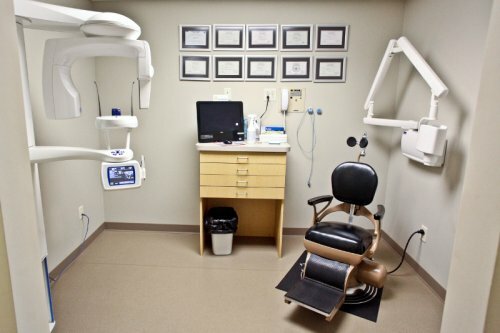 In fact, our Dental Laboratory can complete denture repairs in a few hours and modify denture set-ups while you wait. Connie DeLuca, our Chief Dental Laboratory Technician, has thirty years experience and ensures the quality of everything the Dental Laboratory produces. At Buhite & Buhite, DDS, in addition to our lab, we offer on-site dental CT-Scans and 3-D Imaging for same-day evaluation. Call 585-342-1323 or send us an email for more information.